White santhagai is just like rice. 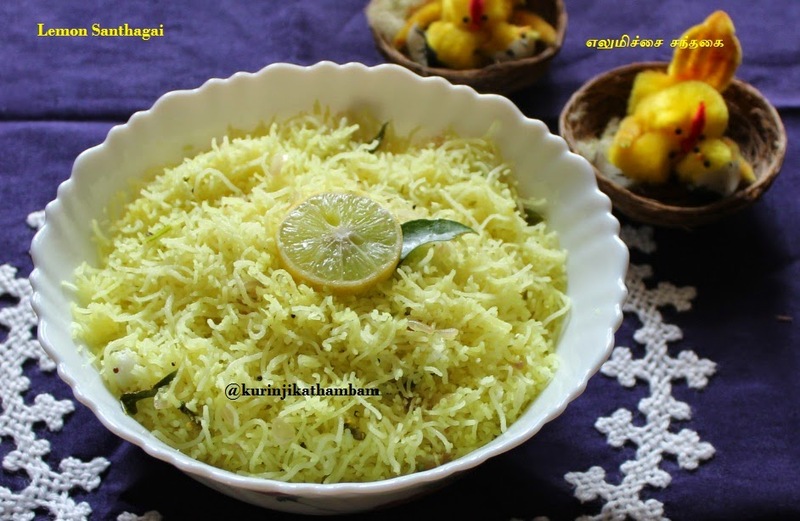 You can create many flavor like lemon, tomato etc..Lemon santhagai is the one of the all time favourite of my husband. This is an ideal dish for traveling. 1. Squeeze the lemon juice from the lemon. Add salt and turmeric and mix them well. 2. Pour this mixture into the santhagai. Roll over the santhagai so that the juice gets mixed properly. 3. Heat the oil in a pan, add mustard seeds, urad dal and channa dal. Wait for popping. 4. 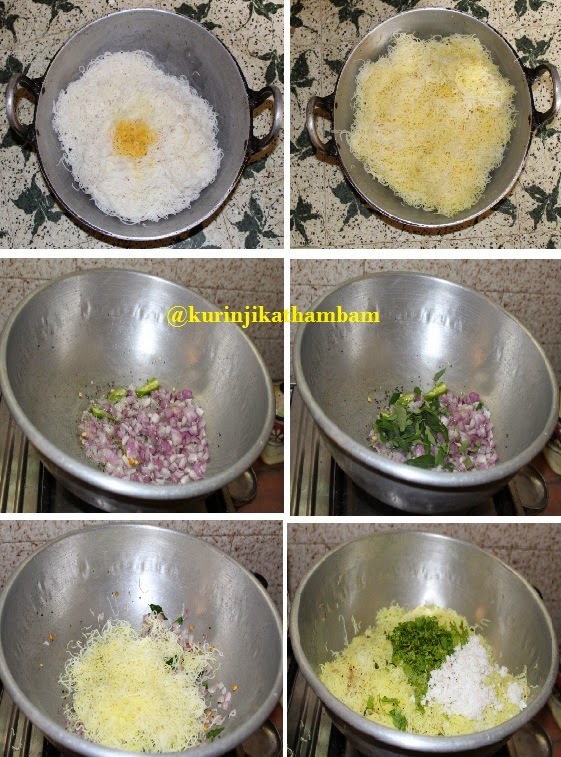 Then add curry leaves and chopped onion. Fry till the onion becomes translucent. 5. Now add the lemon coated santhagai and mix them well and fry for 3-4 mins. 6. Switch off the flame and garnish with coriander leaves and coconut. love the santhagai but never tried it..super ! !